Miriam Linna began her music career as the first drummer for the Cramps in 1976 New York. The Sudbury, Ontario, native went on to pound the skins for the Zantees and frat-rock luminaries the A-Bones. Linna is perhaps best known for co-founding the legendary Kicks magazine and Norton Records, both with her husband Billy Miller. 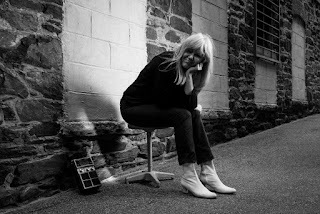 In 2014, Linna teamed up with producer Sam Elwitt to release her first solo album, the wall-of-sound tour de force Nobody's Baby (Norton), which was lauded as the best album of 2014 and reached #1 on the influential WFMU. Linna hit the ground running in 2015 with the smash single "The Hand Don't Fit The Glove," with a new album Down Today to be released on October 2nd. Miriam Linna backing band (Nobody's Babies) is led by Sam Elwitt, with Bruce Bennett, Justina Davies, Matt Fiveash and David Lindsay.